start with 100,000 in Tournament chips. Play will resume at level 1000-2000-300. ($250 + $650) and another $900 cash ($250 + $650) for each additional chip stack that is removed from play. Must have a valid Players Club card. There will be 10-minute breaks after levels 8, 12, 15. Day 2 - Day 2 players are in the money when to top 33% of the player field is reached. Day 2 field = (Day one qualifiers plus Day 2 Direct Buy-ins). Day 2 - Levels will all be 40 minutes. There will be a 10-minute break every 3 Levels. 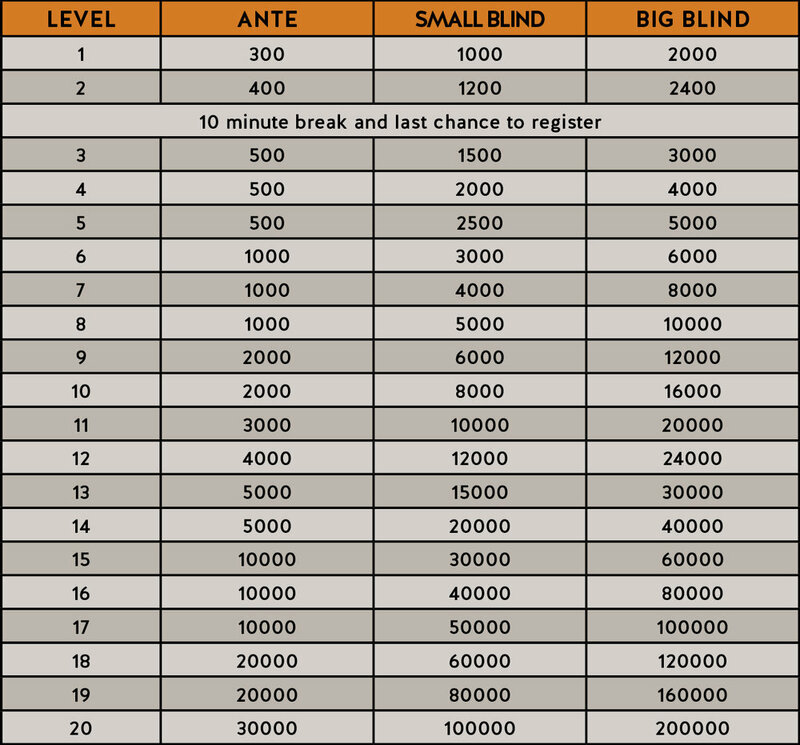 Day 2 - Direct buy-ins open for the first 2 levels of play.